Mondays: 5:00 - 7:00 p.m.
Thursdays: 5:00 - 7:00 p.m.
Talawanda School District residents eligible to use the OCCP may utilize it once every two weeks. The OCCP is located on the Mount Olivet Cemetery grounds at the end of West Church St. 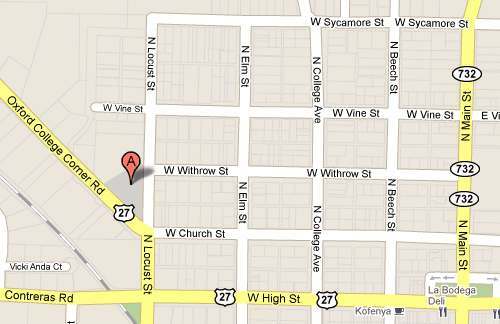 It is near the intersection of West Church St and US 27 and North Locust St.